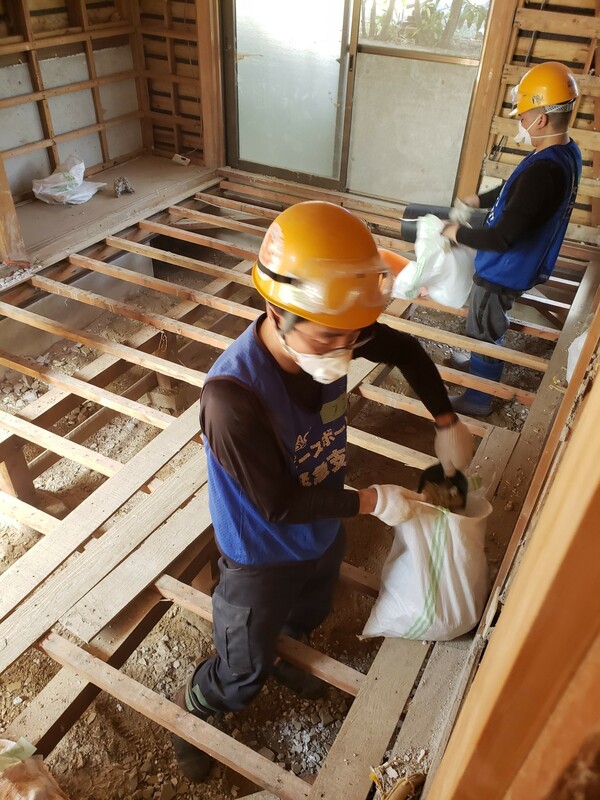 The Peace Boat Disaster Relief Volunteer Center (PBV) has been working in Kurashiki, Okayama to support local residents who were affected by the torrential rain and flood in July 2018. 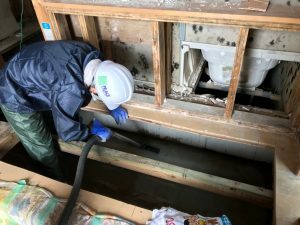 The PBV has dispatched more than 300 volunteers to help out with emergency shelter management, hot meal distribution, relief supply-demand coordination, house clean-ups, community re-building and other activities needed in the affected area. 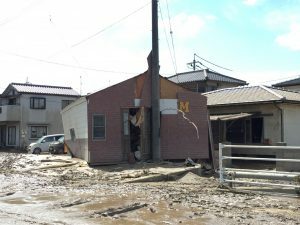 Six months have passed since the disaster, but the local residents are still in great need of help to recover and rebuild their livelihoods and communities, and the PBV has decided to continue the support effort until 24 March 2019. 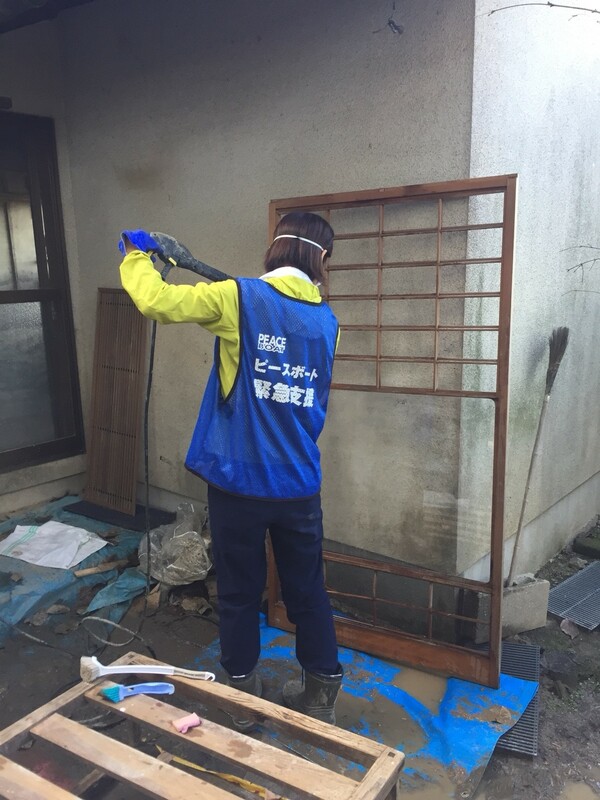 We seek volunteers who can work with us in Kurashiki-city, Okayama Prefecture, for 2 or more days. 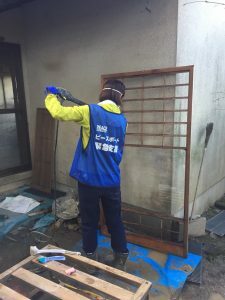 At the PBV, we would like to offer the volunteering opportunities as widely as possible, and we accept volunteers from all over Japan as well as overseas. Please do not hesitate to contact us even if you are not confident in working in Japanese speaking environment. Our English speaking staff will be happy to help you with communications during your preparation and activities onsite. Should you need an interpreter during the activities, please notify us well in advance before your planned date of volunteering. 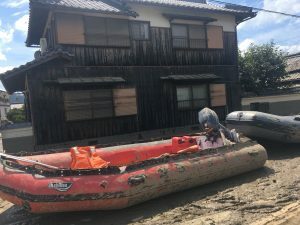 Volunteers meet at Shin-Kurashiki station at 18:00 on Monday, Wednesday, Friday and Sunday, then attend an orientation and activity briefing at PBV volunteer base in the evening . The accommodation and equipment required for the voluntary activities will be provided at the base. Information on the volunteer base is available here. Volunteers may depart Shin-Kurashiki station either after the activity (17:00 or later) or in the next morning (around 8:00). -Those who can attend activities onsite for 2 or more than 2 consecutive days (excluding the day of arrival). -Those who are in a sound state of health and above 18 / below 65. *If you are under 20, you need to submit a designated form of letter of consent signed by your guardian. (Please contact us for details). * Please note that we are not able to accept you as a volunteer unless you are insured by the time of meet-up. Feel free to contact us if you need assistance regarding the purchase procedure of volunteer insurance. -Those who can prepare designated goods (Work related items and equipment are available for rental at the PBV base. Please click here for the list of available items. -Those who can make a participation payment of 1,000 yen. The accommodation site has been offered by courtesy of the local residents. The participation fee will be collected on-site to cover the cost of utilities. Please click here to find more information on the volunteer base). Free of charge for PBV Annual Support Members. *Cost of Transportation between your location and Shin-Kurashiki station, Meals, Public bath and Laundry should be borne by the individual volunteers and will not be covered by the PBV. Advanced registration is required. 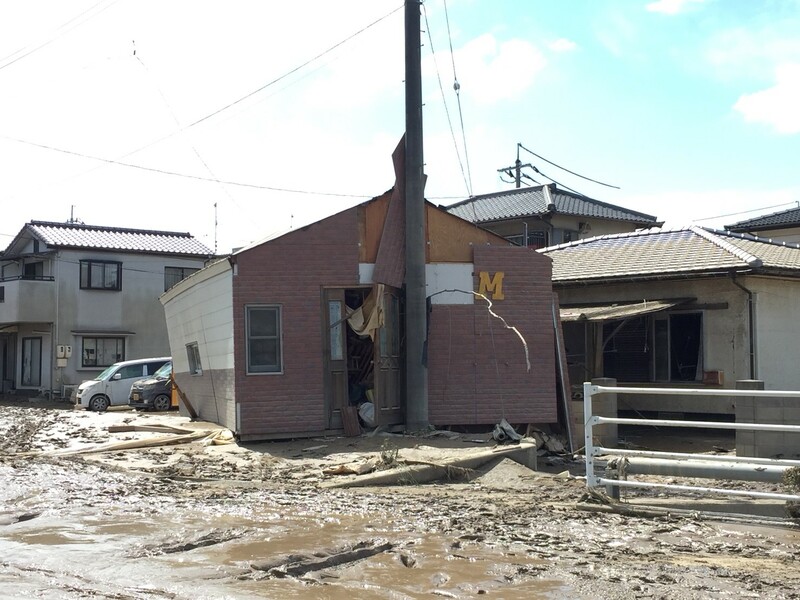 Should you wish to join, please provide the following information in your message to relief＠pbv.or.jp 3 days before your intended date of arrival at the latest. We will get back to you with more details in due course. *English-Japanese interpreter will be available onsite from 9-14 February, 2019! Should you be interested, please contact us at relief@pbv.or.jp . We look forward to working with you in Kurashiki!